If you’re looking for a tool to help you feel more organized, more balanced and maybe even just a little more in control for 2019 – paper planning may be your answer. A paper planner gives you a space to plan, to set and monitor your goals and it can also give you a sense of accomplishment for even the smallest tasks you tackle each day. So what is the best planner for 2019? It’s all up to your specific needs. The most important consideration that you should make when searching for a planner, is the planning layout. There are several different types of planners. The most popular are a Daily and Weekly variety. There are advantages to both Daily and Weekly layouts, but your purpose for the planner and your overall lifestyle may dictate which will work best. Our 2019 Daily Planners offer the best tools! A full page per weekday provides sections for your task list, open planning, hourly scheduling, your Big 3, wellness and gratitude. Each day also includes a hand picked inspirational quote to help guide your intentions for the day – or perhaps just a giggle. Our Daily Planner layouts are unique in that they offer more tools than just general task completion. We help women focus on living a well-balanced life, and each day we provide gentle prompts and reminders. When the weekend arrives, Saturday and Sunday share a page with a Peek at the Week tool for pre-planning. The Peek at the Week is also a great overview tool to plan ahead for big appointments, meal prep, fitness and/or other events and activities. A daily planner is especially popular for a busy lifestyle and becomes an essential tool in keeping all aspect of life organized. 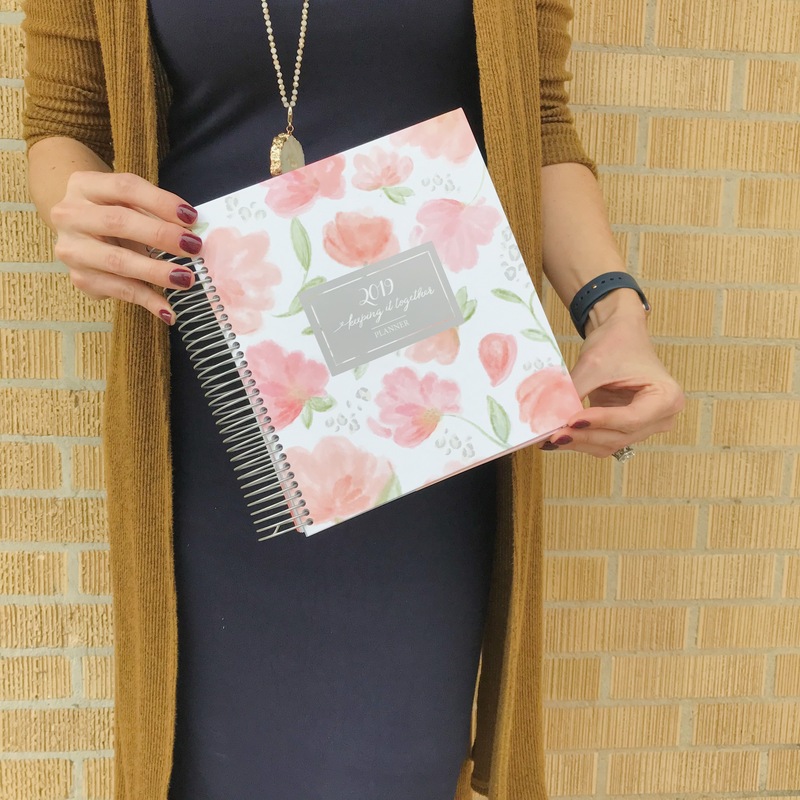 Our 2019 Weekly Planners are the best for visual personalities and college students. The Planner offers a 2 page spread for each week. When the planner lays open to the 2 page spread, Monday through Sunday is available all at one glance. Each day has a column with open planning and hourly scheduling. The week also offers space for your weekly running task list, your gratitude and your wellness activities. The weekly planner is especially popular for someone who wants to spot patterns and strategize the entire week. Weekly planners are also a common choice for those involved in academics. A weekly planner can become an important part of your weekly game plan. What else should your planner include? 7) Options! If you’re into Habit Tracking, Budgeting or run a Direct Sales business – Keeping it Together Planners have options to customize your planner. Once you determine which layout fits your planning needs, you’ll have the exciting opportunity to choose the cover that best suits your style. The best planner to buy? The one you’ll be proud to carry around and that you’ll use all year long. 1) Plan to Plan: Paper planners bring you a wide array of benefits, but the biggest key is putting it to use. A sure fire way to use your planner? Plan on planning. Chose a time every day, perhaps in the morning or just before bed. If in the morning – consider reviewing yesterday’s tasks before pre-planning the day ahead. If in the afternoon, close out your current day and begin pre-planning for tomorrow. 2) Be Committed: Chose a planner and stick with it. Allow the planner to become a part of your routines, your life and your organization. Before you know it, your planner will quickly become something you rely on. 3) Leave your Planner Open: Keeping your planner on hand (or even better – open!) will keep your plans front of mind and give you the opportunity to short hand notes, appointments and check your calendar with ease. For those of us who don’t feel a connection with planning via technology, keeping your planner at your fingertips is just as easy as pulling up an iPhone App. 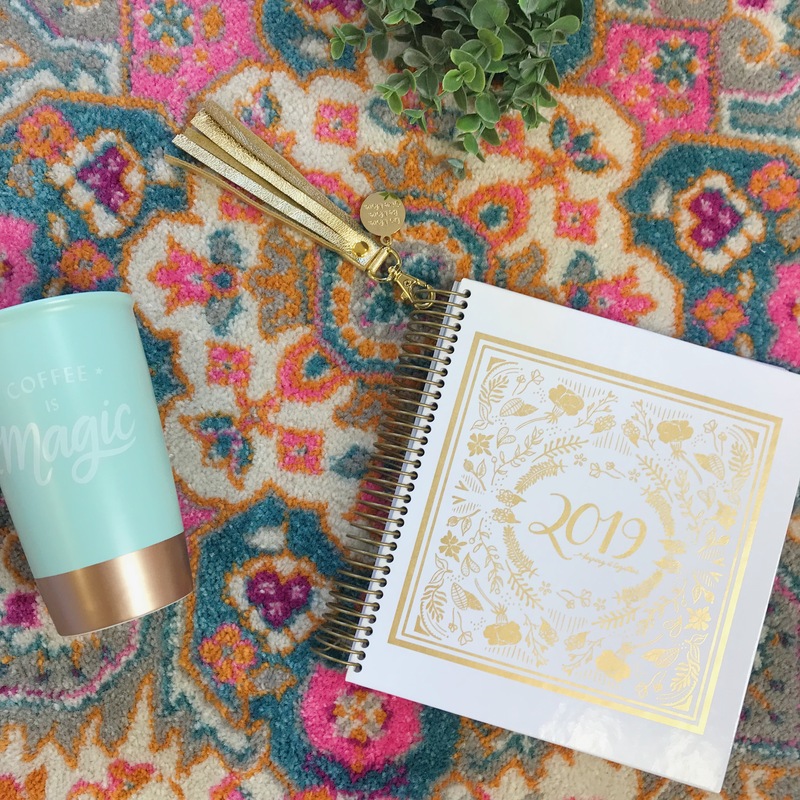 Organizing your 2019 Planner is a great way to get started with a streamlined year. Logging special dates, scheduled travel and birthdays in advance will help you feel prepared as each month rolls around. Depending on the Planner Layout, also chose how you’ll use each day. Coming up with a system (which can certainly change as the year progresses) will help you ease right on in to planning. 1) Task Listing: Would you like to put both personal and work related tasks in the same space? Or would you prefer to keep them separated on the page? Consider using the Task List space for one, and the Open Planning Space for the other. 2) Self Care: This is indicated with a heart every day. What types of things do you want to see in your daily routines that are JUST for you. Get a short list ready so you can be sure to color in that heart every day. 3) Scheduling: An hourly schedule is available for you to jot down appointments and do some time-blocking. Time-blocking is a very effective tool for time management and task completion. How will you use your schedule space? 4) The Big 3: We all have a lot to do everyday. Each day you should spend time deciding what your most important 3 tasks are. Will they be related to work? Reaching your goals? Log them down and focus on them FIRST. 5) Wellness: Getting movement and being active every day is vital for a healthy life. Not to mention, for a good mood! Log your endorphin driving activities down and give yourself a pat on the back. 6) Gratitude: If you’re not already journaling gratitude, you’re in for a treat. The act of being grateful is so simple – but has an amazing rippling effect on your mindset for the day. Challenge yourself to write your thankfuls each and every day and watch your spirit sore! What’s the best planner for Moms? Appointment Tracking: Kids come with plenty of scheduling and appointment tracking needs. Whether it’s a pediatric appointment, a trip to the dentist or a weekly soccer commitment, being able to track schedule commitments is really important. Big 3: We all get busy, especially Moms. Instead of focusing on your entire to-do list, focus on just the most important 3 things for the day. This way, you won’t feel discouraged if you don’t complete everything – rather, you’ll feel good about having accomplished the most important tasks. Gratitude: Parenting can be tough. By the end of the day, sometimes chaos overturns gratitude. Taking time each day to journal gratitude will prove LARGELY beneficial to your mindset. Space to Journal: Kids grow quickly. Finding a planner that offers a page per day, with open planning space to journal will allow for reflection on our child’s growth every day. Use this space for notes from a doctor’s appointment, or something funny your child said. You won’t regret it! At the end of the year, you’ll be able to flip back through your planner and find tid-bits of your child’s daily life.